For our last rally of the year, Steven and I decided to go back to our roots. A simple, cheap car with lots of character and heart, but not a lot of speed. Also, the BRZ was out of commission for the rally, so Purple Panda it was! It turns out the Panda is a lot of fun still. I rode in it with Dustin Embrey a couple years back at Mt. Hood and we had a bit of mechanical problems. However, the 'ol beast was reliable and required no service at service other than to splash some gas in the tank. 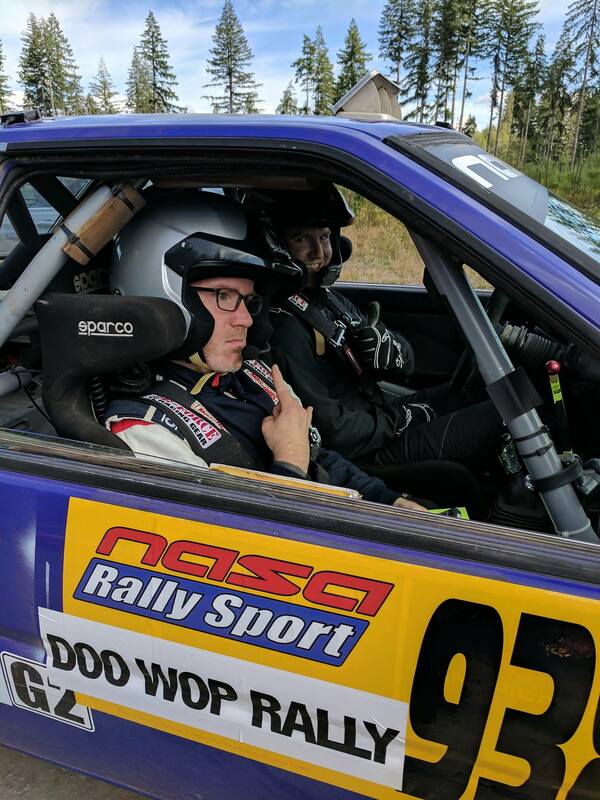 We were about 10-20 seconds a stage behind Nate Tennis, my archnemesis (okay, he's really nice, but my brother and I raced him back in the day...), in a more powerful turbo volvo built by our rally friend Sean Medcroft. Steven reported that the Panda was easy to drive and the narrow track made it forgiving of any mistakes. Mostly, it was just good to finish every stage of a rally with no drama. Winning O2L was just a bonus! I'm hoping the Nameless guys keep up their rally program next year and bring the BRZ back or continue to have fun in the Purple Panda. If my brother doesn't get the Golf working again, I'd love to work with this team for a third year! Phototographer unknown (maybe Kris Marciniak? ).